I’ve sent out all my Kickstarter awards (thanks again, guys!) and the Micro-Press Yearbook 2014 can now be ordered at my store. Just five bucks, plus shipping. This issue was a more ambitious (and time-consuming) project than last year’s. It’s now 32 pages and full color. 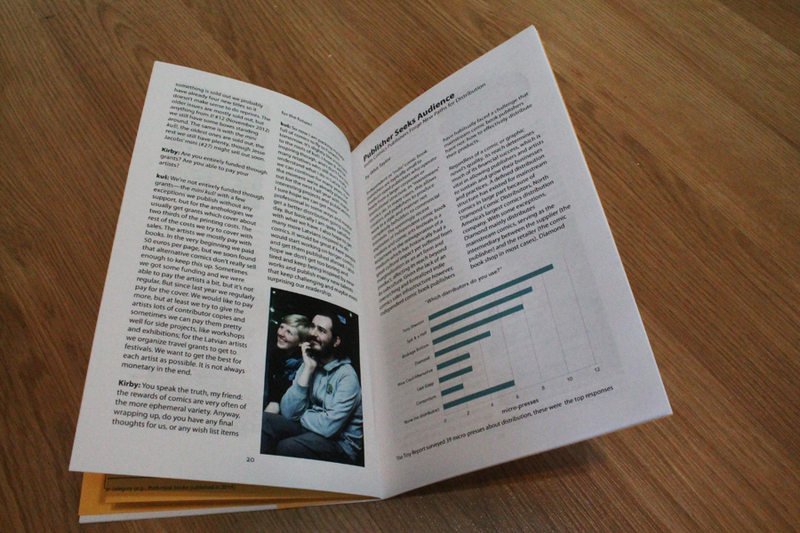 Inside you’ll find an article about distribution by Whit Taylor, an interview with kuš! publisher David Schilter by Rob Kirby, and all the 2014 data I could gather. There’s even a map by Cadu França charting where US micro-presses are located, state by state. This awesome cover is by Box Brown. Thanks, and enjoy. I hope to get on a more steady Tiny Report schedule soon. 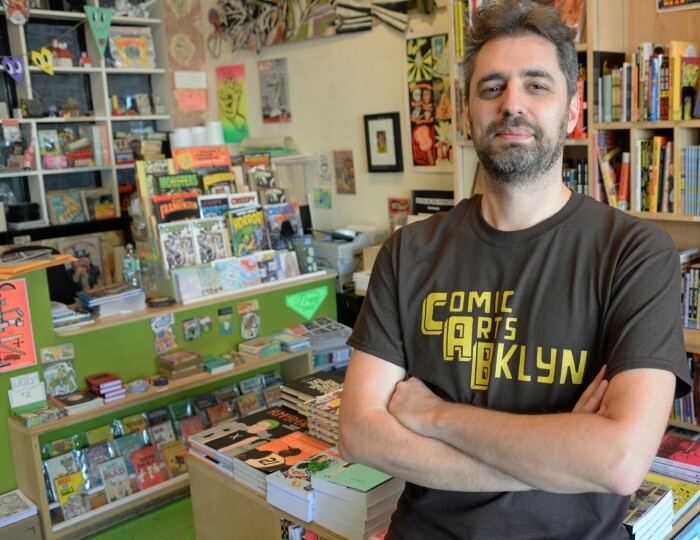 Whit Taylor at The Comics Journal wrote this beefy report on CAB and the convention model, and she asked questions that are pertinent to small publishers like me. Is the convention model sustainable? Can small publishers flourish, and can their audience grow? 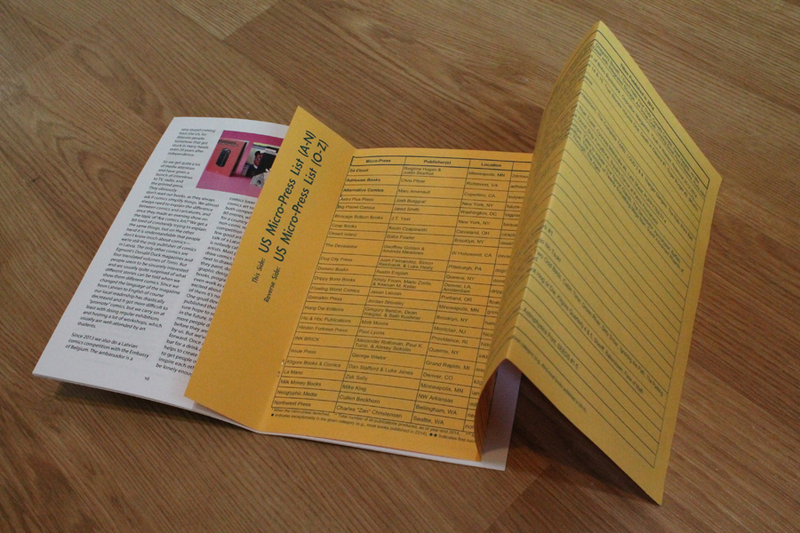 How can the small press stay small without being insular? It was a great read for me because it got into the mechanics of small press comics distribution, a topic I really nerd out about. For me, an informative article with this kind of scope is pure gold. It would be right up my alley, even if I wasn’t quoted in it a few times.